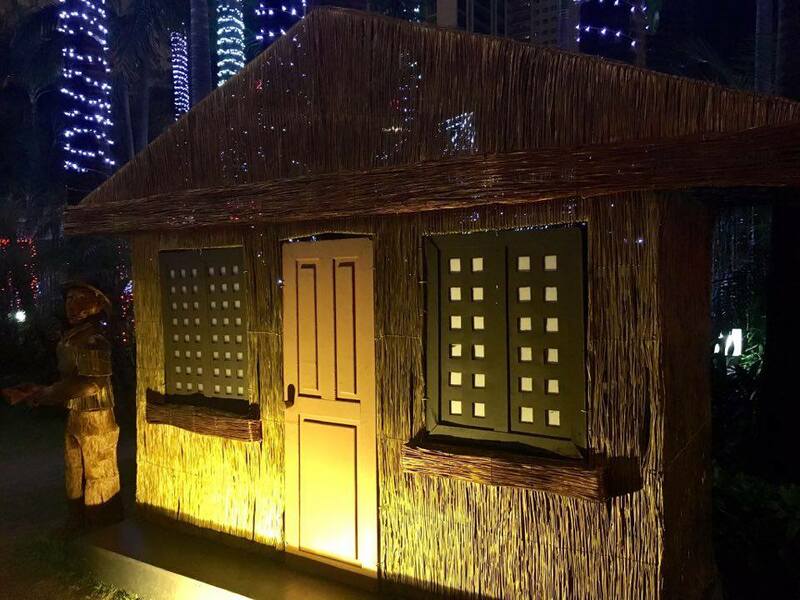 Manila Electric Company, MERALCO, opened their doors again to Filipino families as they let them step inside their compound at Meralco Center, Ortigas Avenue, Pasig City to tour around Liwanag Park this holiday season. 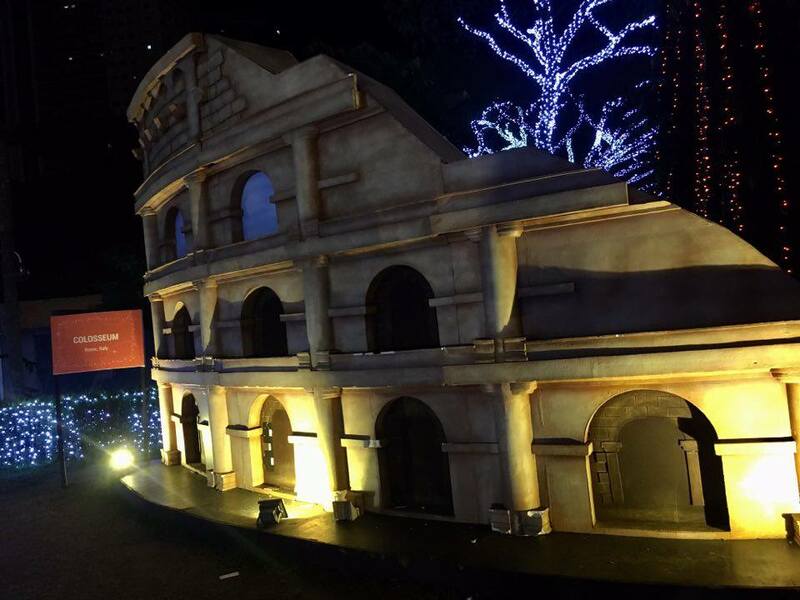 This year, MERALCO will let each member of the family take a glimpse of the famous landmark of different countries that are strategically placed inside Liwanag Park. 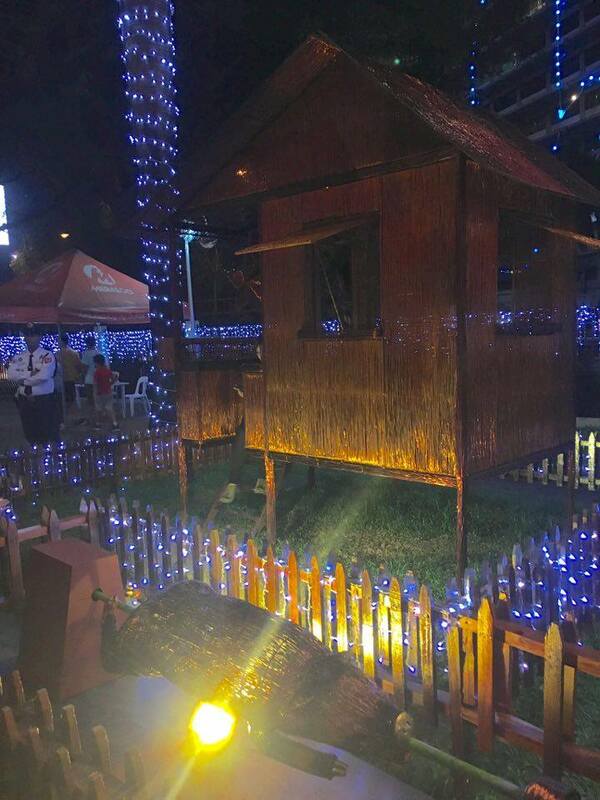 Liwanag Park has five areas where different attractions specially made by MERALCO for Filipinos are placed. Upon entering the park, enchanting trees with white lights will welcome their guests. 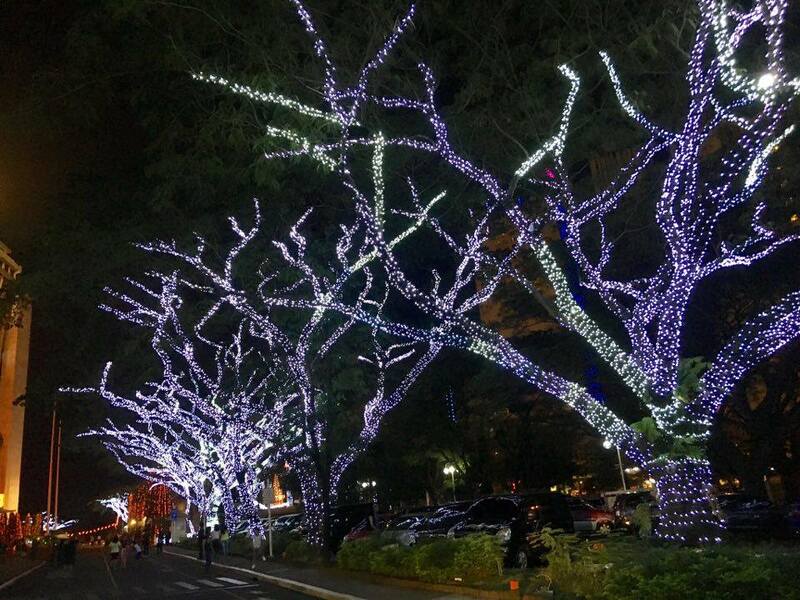 Enchanting trees line up to welcome the guests in Liwanag Park. 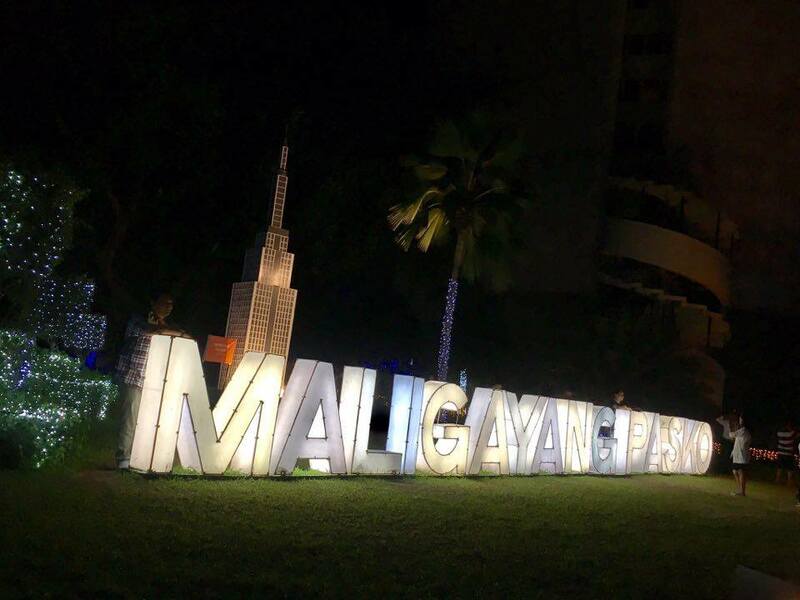 On the first area, guests are warmly greeted with a huge "Maligayang Pasko" signage in the middle of famous landmarks in the United States of America. 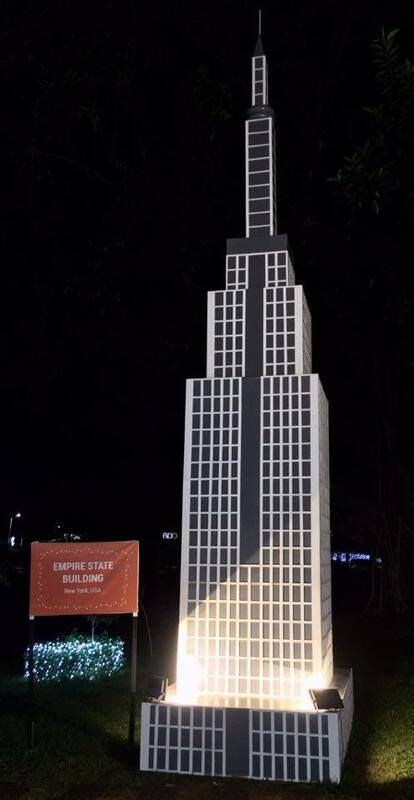 The Empire State Building is a 102-story skyscraper located in Midtown, Manhattan, New York City, USA. 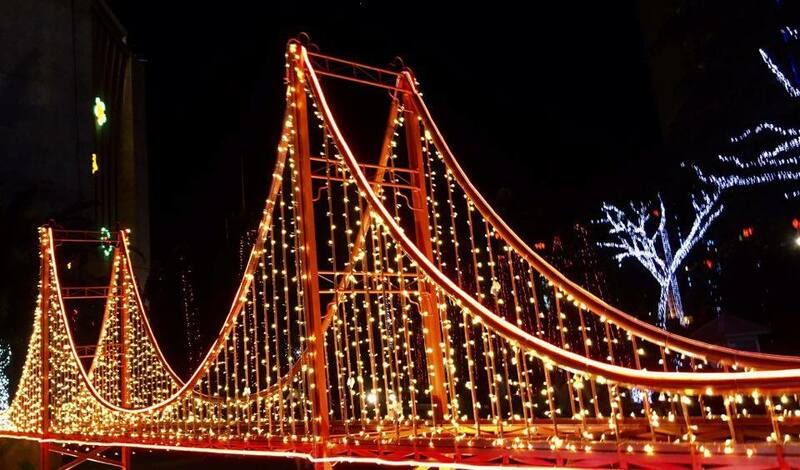 The Golden Gate Bridge is a suspension bridge in San Francisco, California, USA. 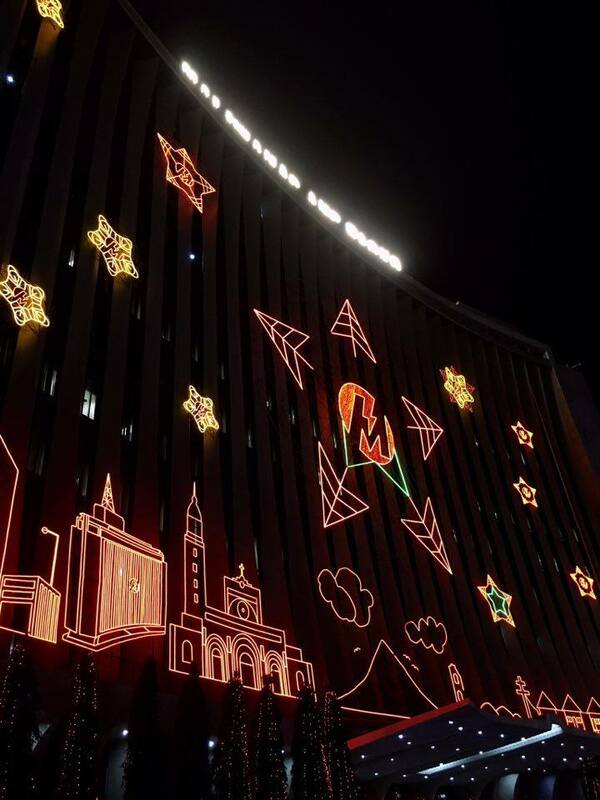 Before reaching the second area, guests will pass by MERALCO's giant lantern that is strategically placed on one of their buildings. 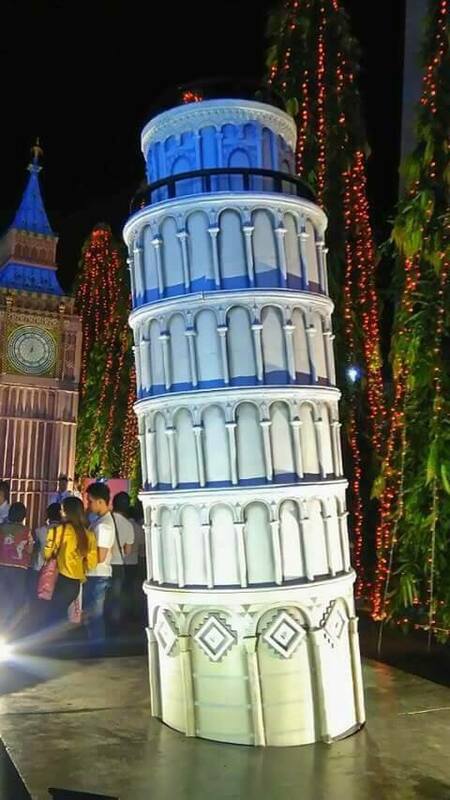 The second area of Liwanag Park will take the guests to Europe and Australia. Tower of Pisa or Leaning Tower of Pisa is a freestanding bell tower of a cathedral in Pisa in Italy. 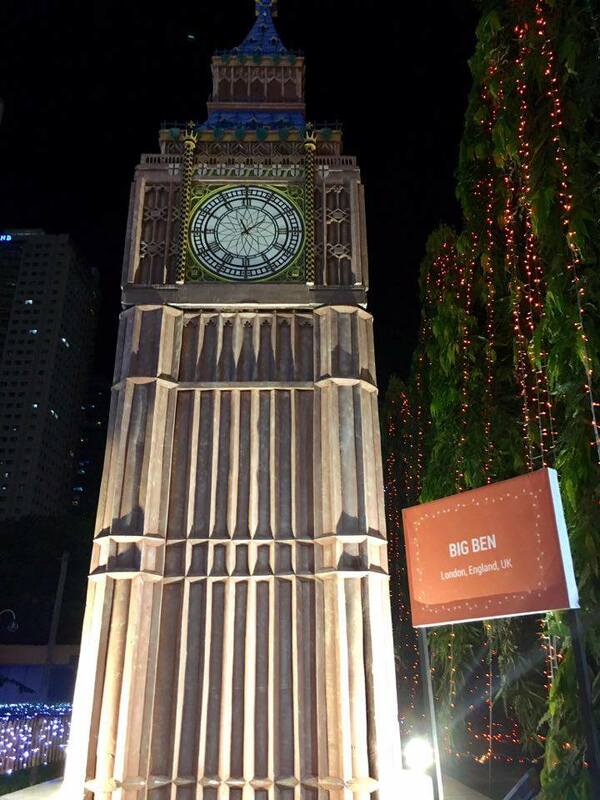 The Great Bell of a clock or Big Ben is located at the north end of Westminster Palace in London. The Eiffel Tower is a shaped lattice tower located at the Champ de Mars in Paris, France. Flavian Amphitheatre or The Colosseum is an oval amphitheater in the center of the city of Rome, Italy. The third area is close to Travel Eat Pinas' heart because it is composed of the culture, tradition, and history of the Philippines. Ancestral Filipino house with capiz window. Bahay Kubo and all time Filipino favorite dish, Lechon. 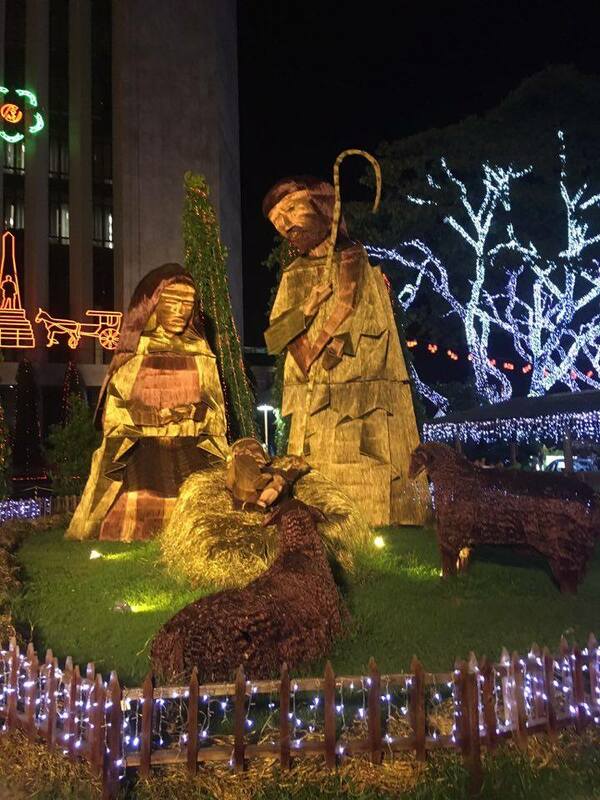 Filipinos are family oriented and during the Yuletide season, Filipinos celebrate the birth of Jesus. 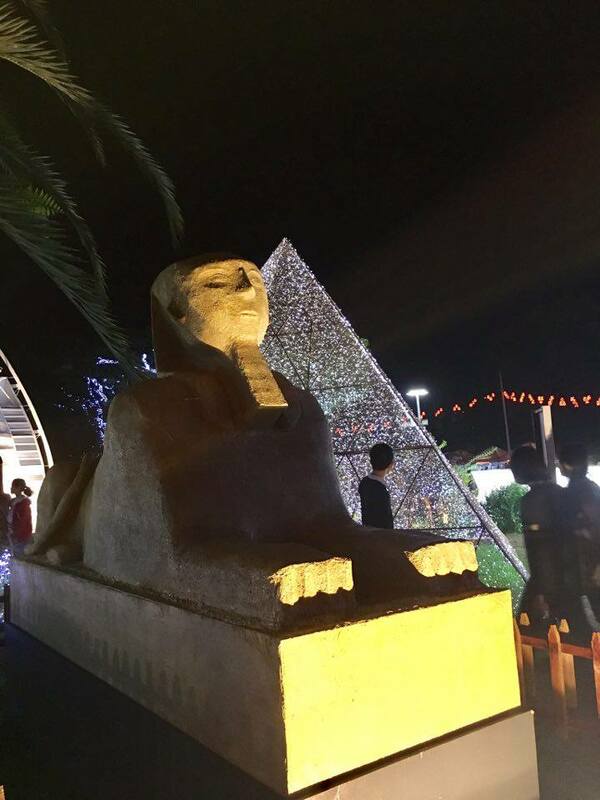 The fourth area of Liwanag Park will take the guests to the Middle East and their famous landmarks. 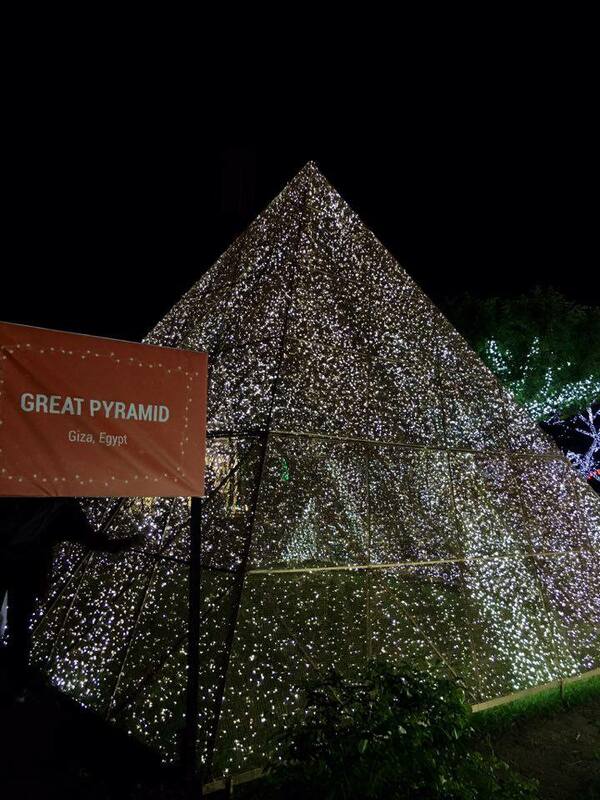 The oldest and largest of the three pyramids in the Giza pyramid complex bordering El Giza, Egypt is the Great Pyramid of Giza. 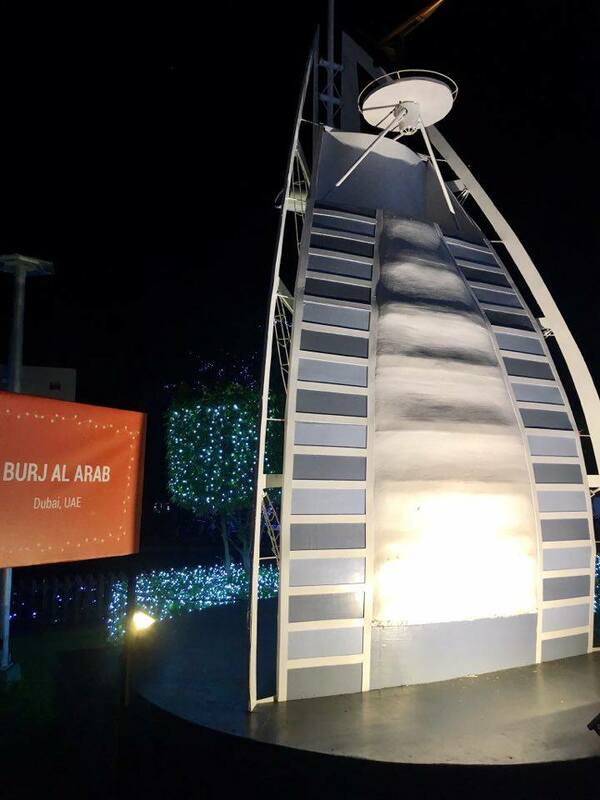 Burj Al Arab Hotel's sail-shaped silhouette made the hotel an iconic symbol of modernization in Dubai. The Great Sphinx of Giza or the Sphinx, is a limestone statue of a reclining sphinx, a mythical creature with the head of a human and body of a lion. To reach the fifth area guests should ride Meralco's shuttle. 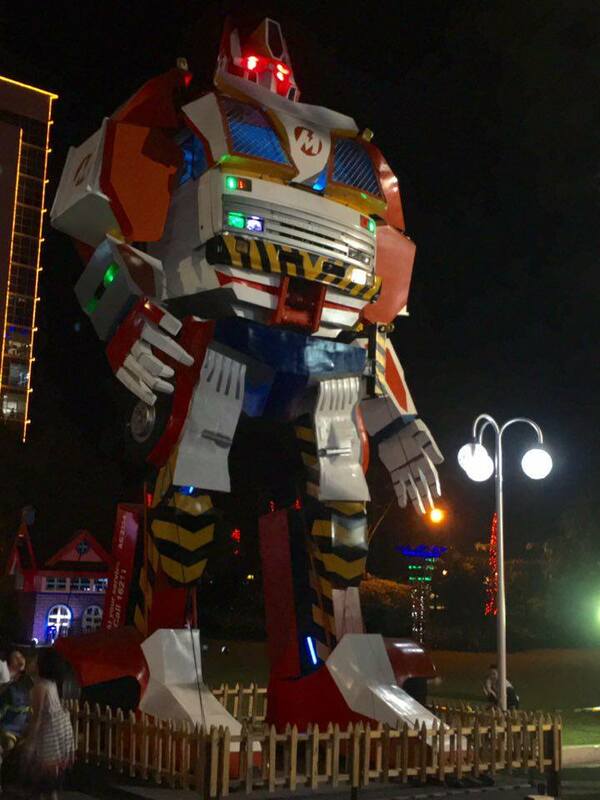 The shuttle will lead the guests to Meralco's Robots that looks like the robots in the movie Transformers. Along with the robots is the famous Meralco machine that their employees use when they fix electricity lines. 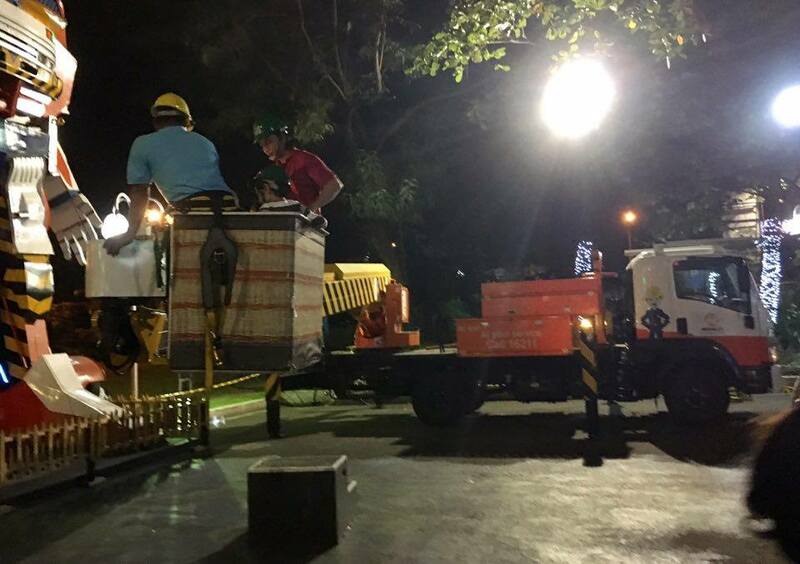 This time, instead of using the machine to fix or check the electricity lines, the machine will lift the guests high above the air so that they will see the whole Liwanag Park and Meralco Compound. 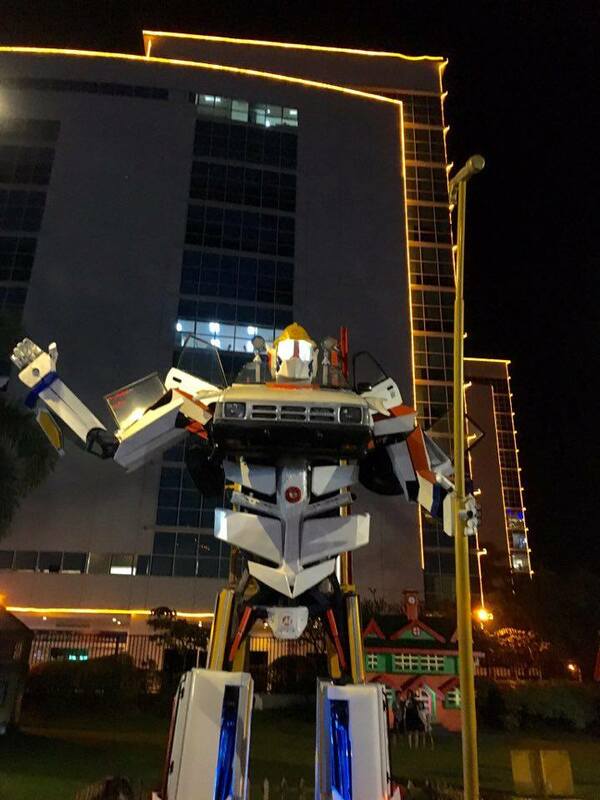 Another MERALCO Robot that warmly greet the guests. 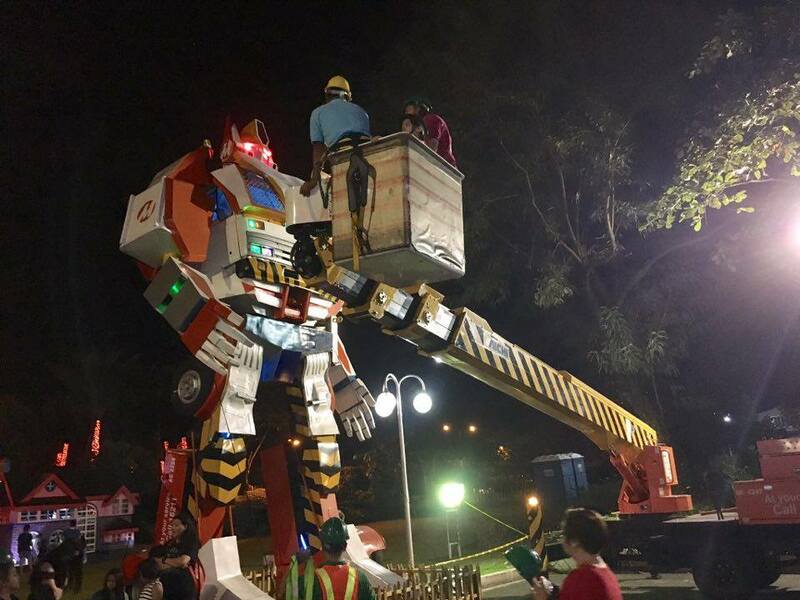 One of MERALCO's machine that will leap the guests to their robot and up in the air to see the whole MERALCO compound. Ride to one of the machines that MERALCO employees use in fixing and checking electricity lines. 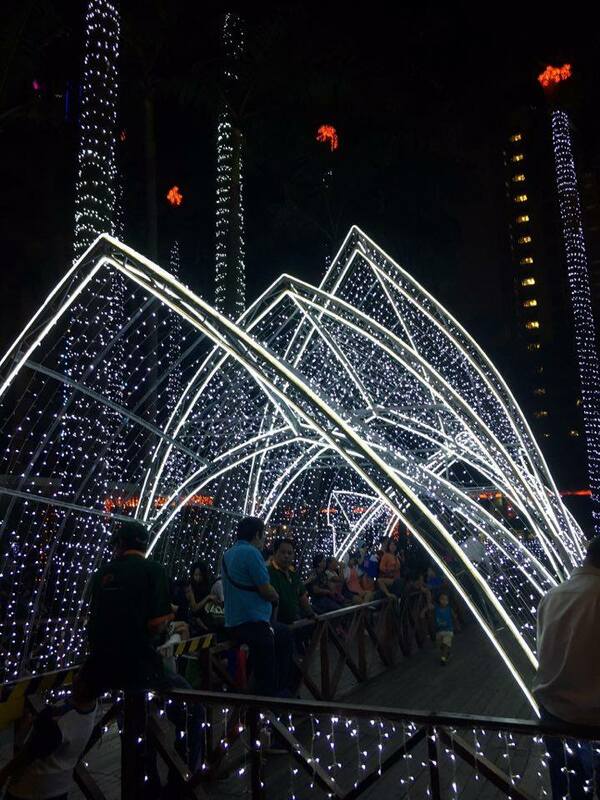 Liwanag Park is open to public, NO ENTRANCE FEE, until January 8, 2017, and will welcome guests from 6:00 PM until 10:00 PM. 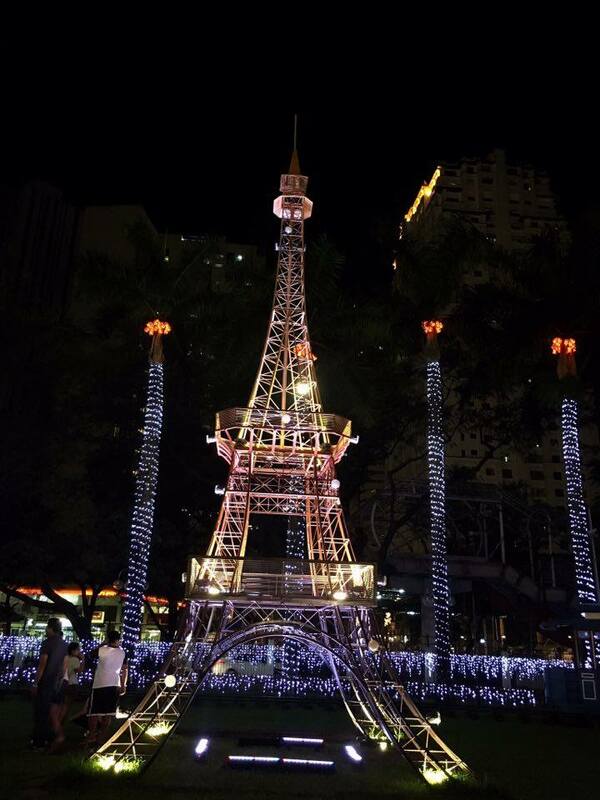 Paganda ng paganda taon-taon ang liwanag park ng meralco. At kahit usual na nakakita ako nitong truck nila, never ko pa nga na-try iyan sumakay dyan.